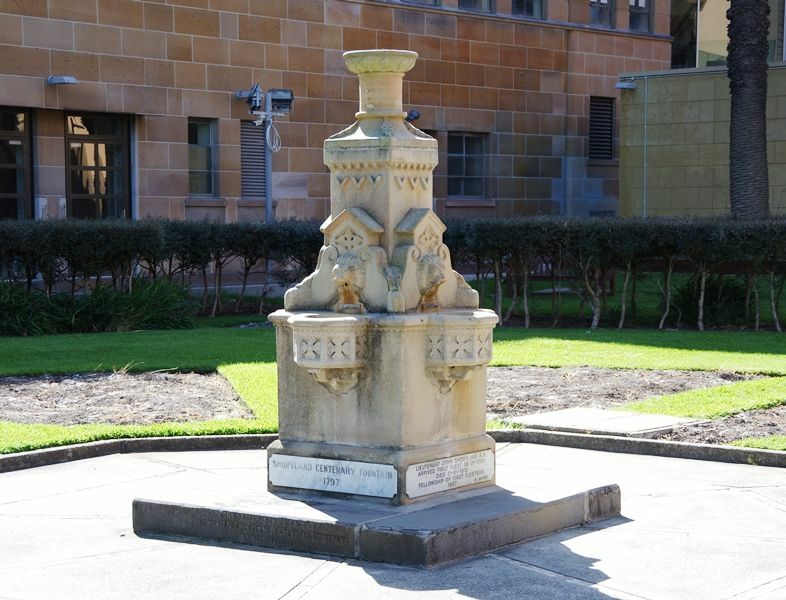 A fountain erected by the Mayor David Miller in 1897 and originally located at Newcastle Beach, commemorates the centenary (1797-1897) of the European discovery of the site of Newcastle by Lieutenant Shortland. A plaque was added to the fountain by the Fellowship of the First Fleeters in 1997. 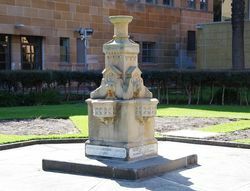 The fountain is now located at Christie Place. On 9 September 1797, while on his way to Port Stephens in pursuit of some runaway convicts, Shortland entered the estuary of the Hunter River on which Newcastle, New South Wales is situated. During his brief stay, Shortland named the river, though for some years it was often referred to as the Coal River, made the first chart of the harbour in the form of an eye-sketch and collected some samples of coal. In a later letter to his father, Shortland predicted that his discovery would prove a great acquisition to the settlement. A special meeting meeting of the City Council was held yesterday afternoon for the purpose of dealing with the proposed erection of a drinking fountain in commemoration of the landing of Lieutenant Shortland. There were present: -- The Mayor, Aldermen Moroney, Sharp, Smith, Kidd, Thorn, Lock, Webb, Rodgers, Asher, and Alcock.The Mayor said the committee had inspected the site at the rear of the hospital, where the council had decided to erect the fountain, and they were unanimously of opinion that the little reserve was by far the more desirable spot. He submitted a minute recommending the removal of the present fountain to the site chosen in "Shortland," at the last meeting of the council. Newcastle Morning Herald & Miners' Advocate (NSW ), 7th September 1897. The Maitland Daily Mercury (NSW), 16th September 1897. Lieutenant John Shortland R. N.